Beautiful dress from AX PARIS. The dress drapes beautifully and has a lovely tie detail at the front. 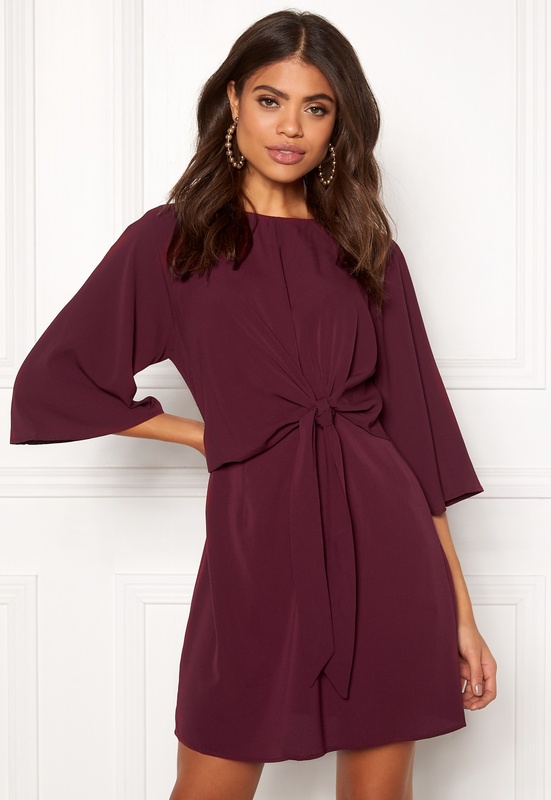 - Nonstretch, woven quality - Round neckline - Concealed back zipper - Tie detail at front (non-detachable) - Wide, raglan sleeves Back length from shoulder 90 cm, bust 88 cm, sleeve length from shoulder seam 53 cm, in size S (UK10). The model is 176 cm tall and wears a size S (UK10). Handwash only.